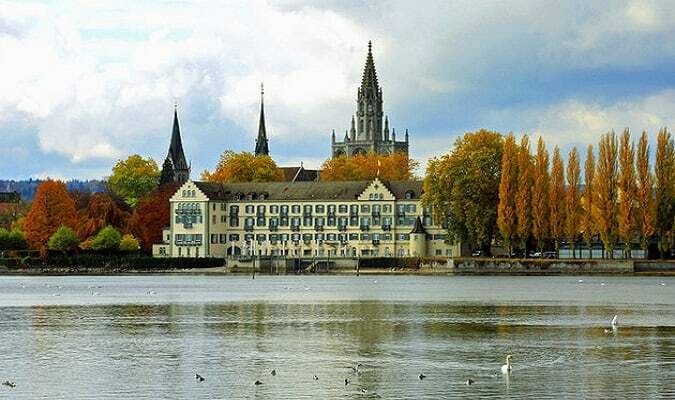 Konstanz is a city in Germany located in the state of Baden-Württemberg. 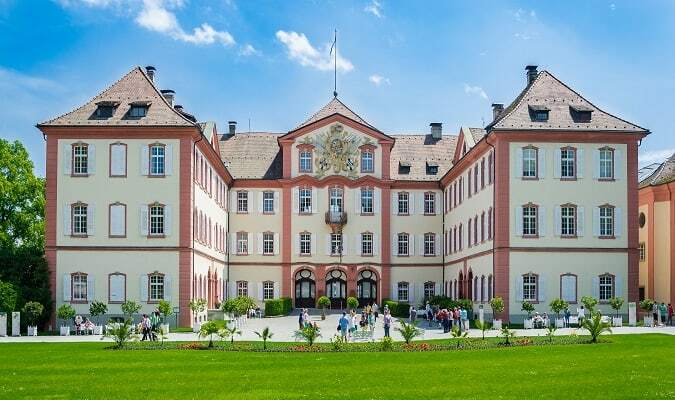 It is the largest city on Lake Constance (Bodensee) and an important cultural center. The Konstanz Cathedral has a beautiful interior. Be sure to climb the tower to get a beautiful view of the old town. The Altstadt has many beautiful and historic buildings, numerous shops, cafés and restaurants. Take a walk along the Wessenbergstrasse and Marktstätte streets. 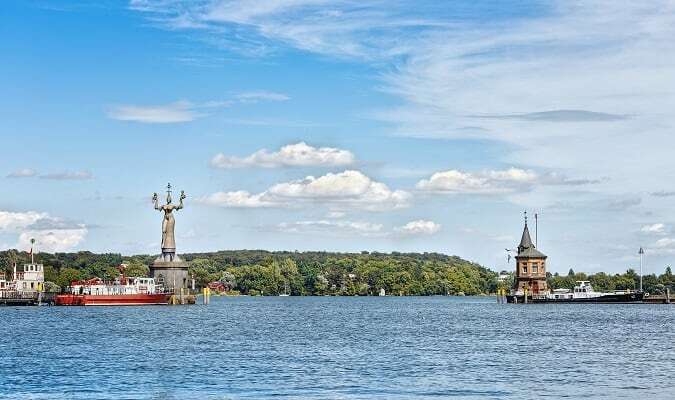 Konstanz‘s location on the shores of the lake makes it an ideal place for day trips around the area on a boat trip. Another highlight of the city is the port, where the Kahufhaus dating from 1388 is located, a warehouse built specifically for trade with Italy. In the port it is also located the Imperia, a symbol of Konstanz. 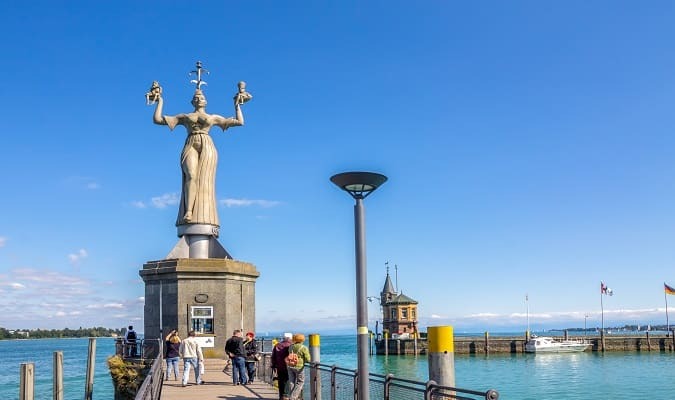 Imperia is a 9 meters high statue located at the entrance of the harbor of Konstanz. The statue refers to a short story by Balzac “La Belle Impéria“. Mainau is an island located near Konstanz. The island is notable for its parks and gardens. The Steigenberger Inselhotel is a 5-star hotel located 10 minutes from the old city center. 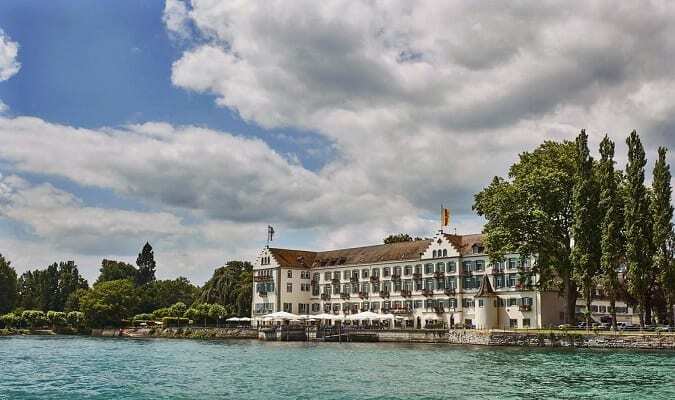 The Hotel 47º is a 4-star hotel located a 15-minute walk from the lake. Rooms are equipped with a flat-screen TV, safe, hair dryer. The Graf Zeppelin is a 3-star hotel located in the historic city center. The Viva Sky is located 550 meters from the lake. Rooms are equipped with a flat-screen TV. Many rooms have a private balcony or terrace. The Lago Shopping Center is located 550 meters from the Imperia. Brands: Zara, Tommy Hilfiger, Tom Tailor. Kontanz has easy train access from various cities in Germany. Famous cities nearby: Freiburg, Stuttgart, Baden-Baden.